Earn you 4779 reward points. 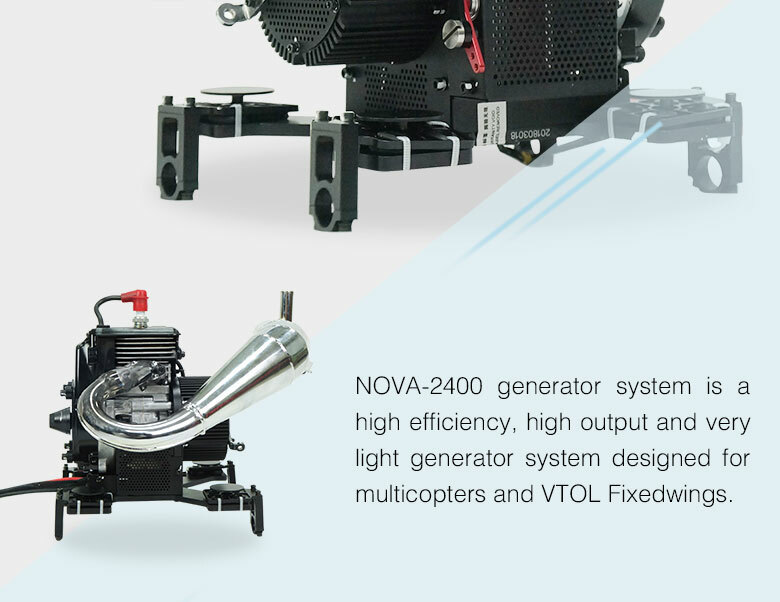 NOVA-2400 generator system is a high efficiency, high output and very light generator system designed for multicopters and VTOL Fixedwings. 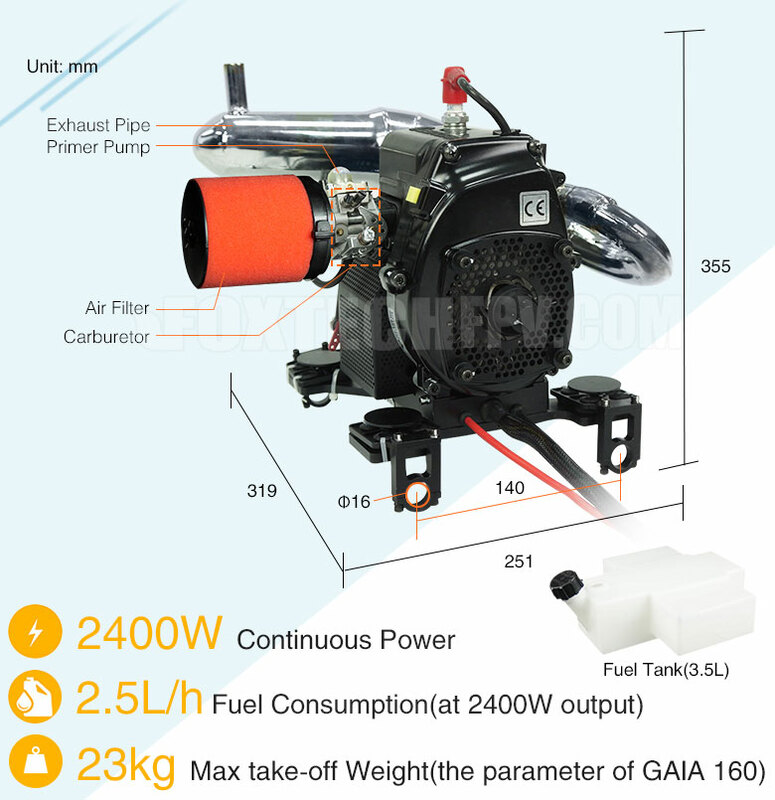 The continuous output power of this generator is 2400w, and it is suitable for high payload or working at high altitude. 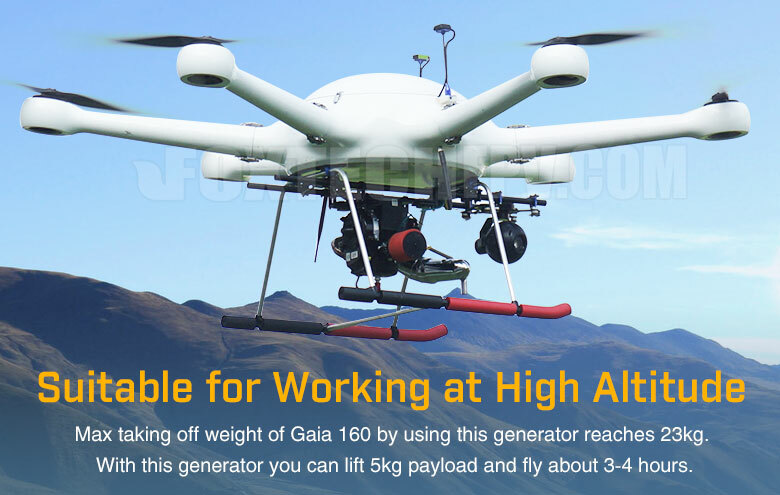 Max taking off weight of Gaia 160 by using this generator reaches 23kg. With this generator you can lift 5kg payload and fly about 3-4 hours. 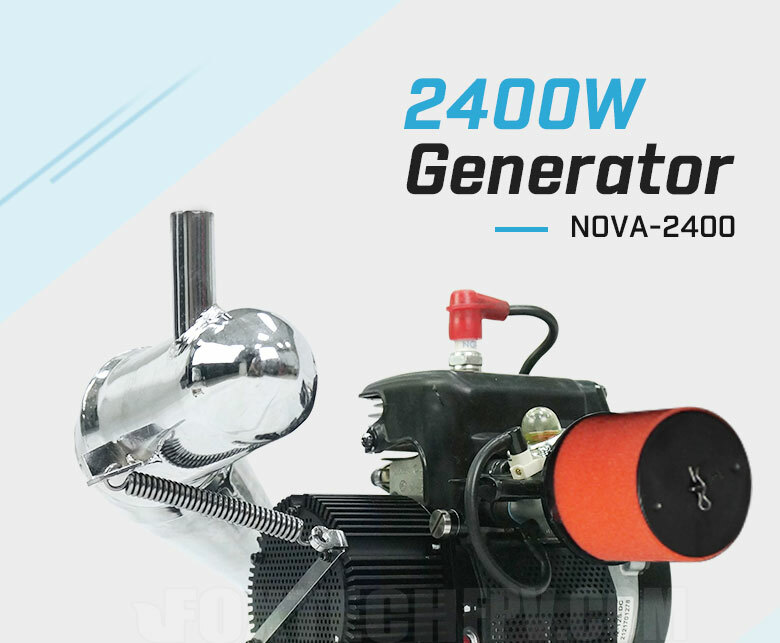 Compared with NOVA-2000, the NOVA-2400 has a new designed exhaust pipe and cooling system, which can greatly enhance the performance of the inner engine. 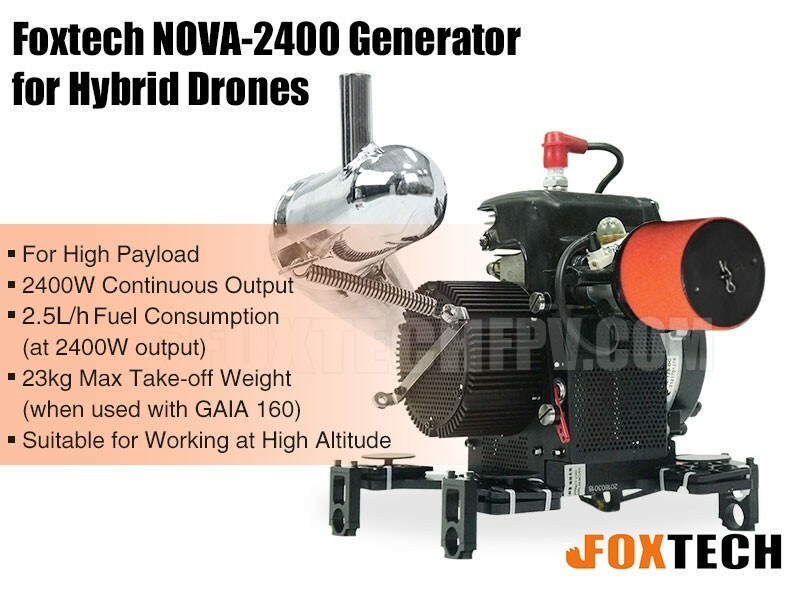 By using NOVA-2400 generator, your drone will more than five times better than before, both in range and fly time. So NOVA-2400 generator system is a good choice for those clients who want to fly over long range and fly very long time. 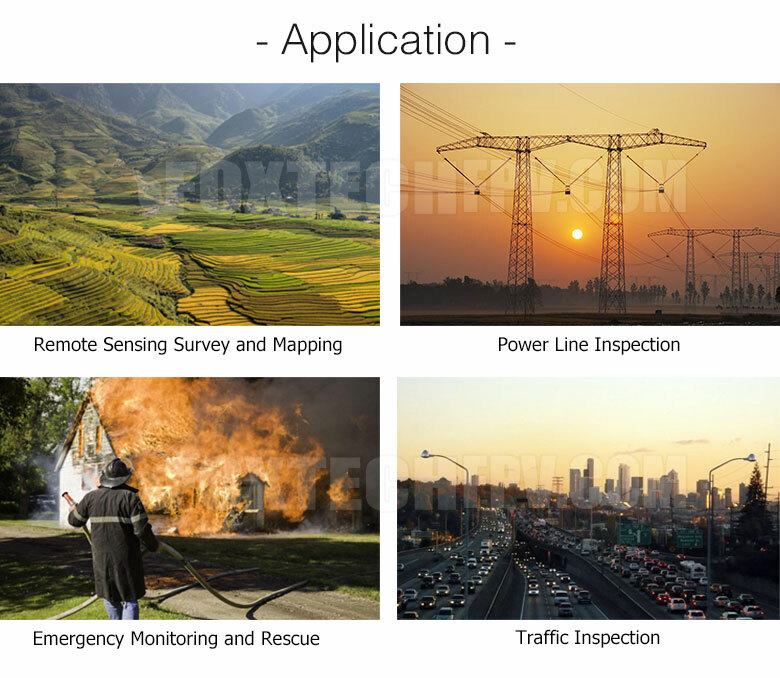 Because of the high efficiency of NOVA-2400 generator system, multicopter equipped with NOVA-2400 can be used in many fileds like power line inspection, mapping industry and logistics etc. 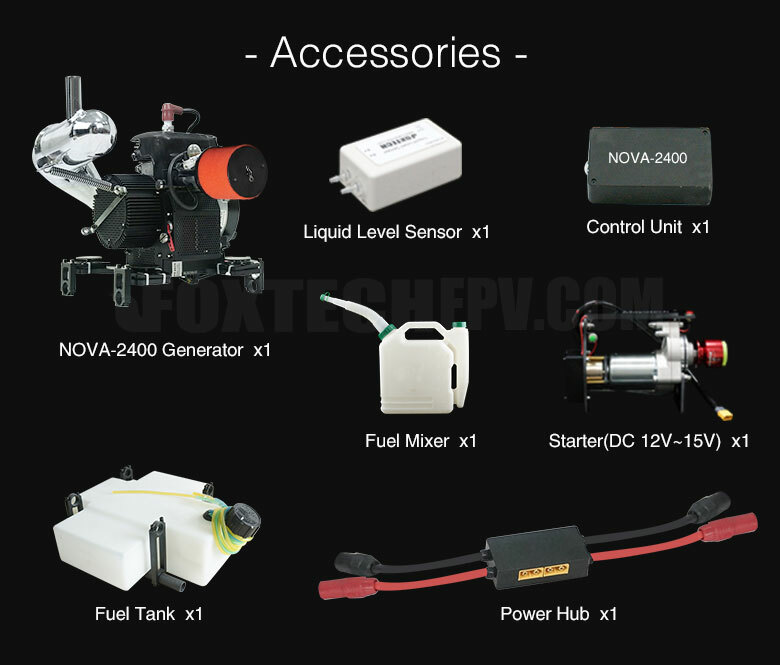 Also could equip agricultural sparyer with this generator, which can load 10L pesticide and the total cost will much lower comparing with the pure electric drone.